Discussion in 'UFOs, Aliens, Monsters, and the Paranormal' started by JesseCuster, Nov 23, 2014. Saw this doing the rounds recently on some paranormal websites and thought I'd post it. 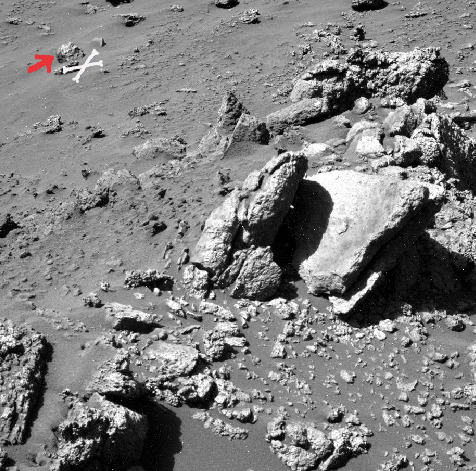 There's claims that a humanoid skull has been found in a photo taken by NASA's Spirit rover on Mars. 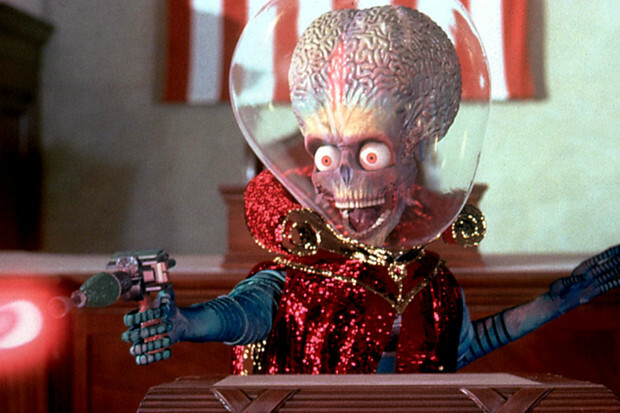 Here's the photo from NASA's archives that is the basis for the claim. 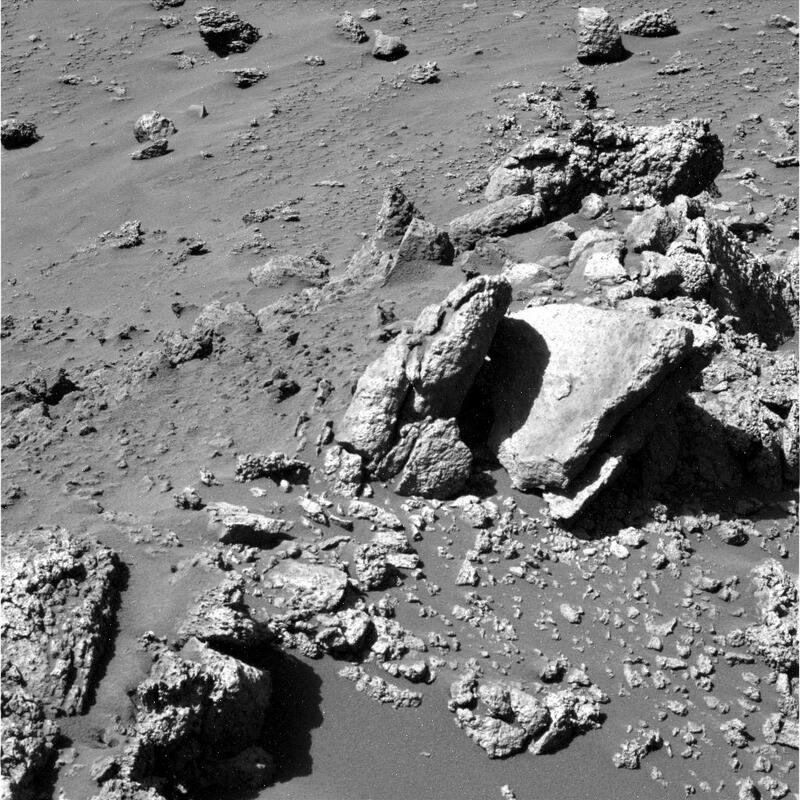 You can see a vaguely skull shaped rock with "eye sockets" and "nasal cavity" in the upper left of the photo. However, it's just a trick of the light. A near overhead sun is causing long harsh shadows from minor features on the surface of the rock. 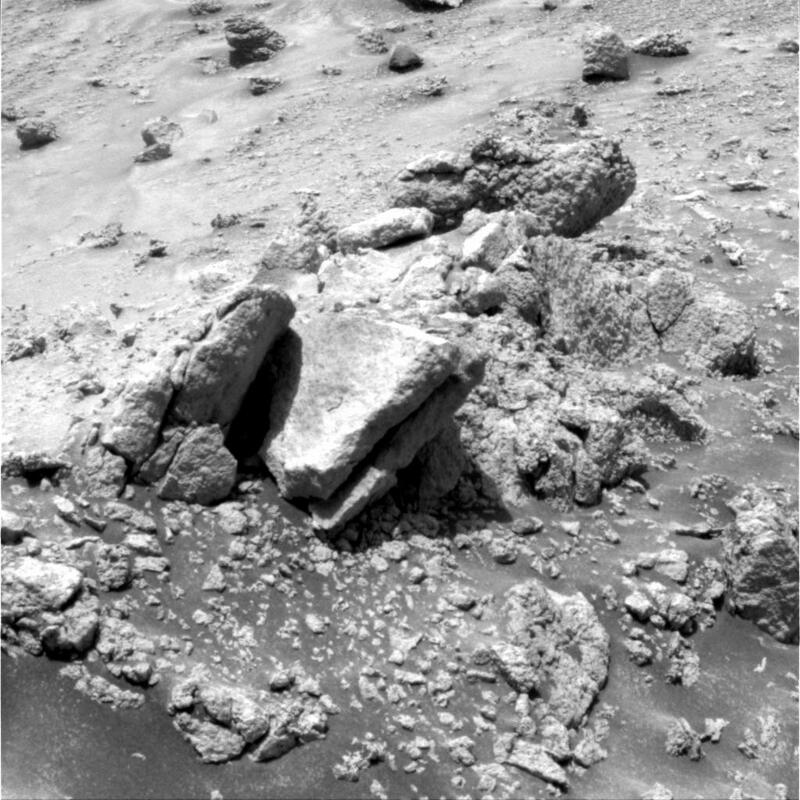 The next day, Spirit snapped more photos of the same area and you can see the same rock in the upper left of the photo below (it's in the exact same place relative to the top left of the feature as in the image above). When the sun isn't high in the sky and causing the same shadows, you can see that the rock is rather plain and featureless and flat-faced and doesn't vaguely resemble a skull anymore. Saw this posted on a couple of websites and it took less than 5 minutes to find an alternative picture that shows it to be not quite the amazing find it's touted to be. It's amazing how Martian "anomalies" disappear when viewed at from a different angle or a different time of day. Is there any way to determine scale on a picture like this? Something tells me it's not even the same size as an average human skull. OK, Ive been looking at BOTH these photos for nearly 15 minutes and I cant find a single thing ANYWHERE that even remotely looks like a skull.. Im TRYING to find something that looks humanoid... people must have really good imaginations or just really really really REALLY want there to be skulls on Mars. Oh, me too...but I didn't wanna look like a dummy! 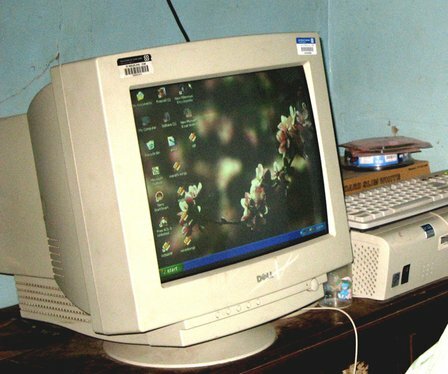 Either that or are looking at pictures on an old, out of focus/dirty computer monitor. i assumed it was the same rock you did , NoParty. It's a bit of a stretch to say the least. Even if a humanoid died on Mars, I suppose it would not decompose. Unless they claim that it was left there from an ancient past with a completely different environment. If a person got their with their whole bodily environment of bacteria, they might, though they definitely wouldn't be skeletonized by the process. We do carry some decomposers around with us, but not the full set. The environment isn't so much actively hostile to life as bitterly indifferent to it, which is why we worry a great deal about contamination and sterilize everything we send there while we just sent Voyager out into the galaxy after a quick wipe down. I know this is a weirdly abstract discussion, but it is nonetheless interesting to know what would happen if a body was dumped on the martian surface. I do agree that we do carry a whole lot of bacteria with us, but how long time would they survive if their "host" (the body) stopped living? I was still under the impression that the majority of the decomposition-process was fueled by external sources? I wish I could say for sure. I actually sent that one into What If, but the author got tired of some of the many weirdly morbid questions he got and has been doing stuff like laser umbrellas and relativistic NASCAR lately. ...stuff like laser umbrellas and relativistic NASCAR lately. …and made a wall-eye stereopair in passing. To watch the rocks in 3D one may need to scale down the image so the distance between the centres of the left and right parts would be about 60-70 mm. In stereo, the rock in the middle does indeed look like a skull. It has a rounded top and a flat 'face' with two cavities resembling eye sockets. See.. 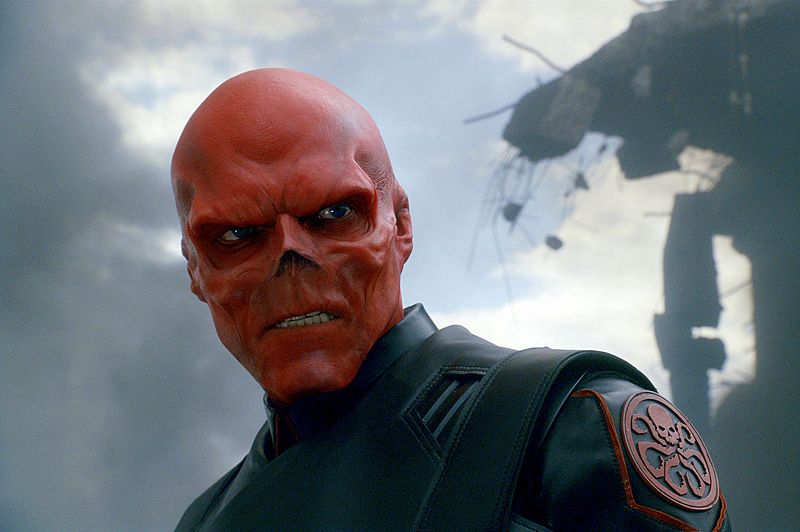 I was thinkin the same thing you guys were but I STILL cant see a skull.. Now if I press my face against the screen and squint really hard, I can kinda see what you MIGHT consider to be the Red Skull (not a Mars joke) but thats really about it.. and thats a stretch. See.. I was thinkin the same thing you guys were but I STILL cant see a skull..
You clearly lack the imagination required to be a bona fide Martian anomaly researcher. You apparently need a vivid imagination to qualify as a Martian researcher to find the runways, space stations, skulls, forests, lakes, pyramids, cities, giant worms, glass tubes, domed buildings, etc. that litter the surface of Mars if you believe half the stuff these guys come up with. this one I saw straight away. but I see faces everywhere (esp in the limestone tile of my bathroom) and collect 'skull type things and funky rocks. Could this be evidence of some kind of giant race of cartoonish space duck, next to the T-Rex?
? all I see is the Babybel laughing cow. I find the dragon iguana trying to copulate with a turtle slightly more disturbing. And now I can't see anything else.